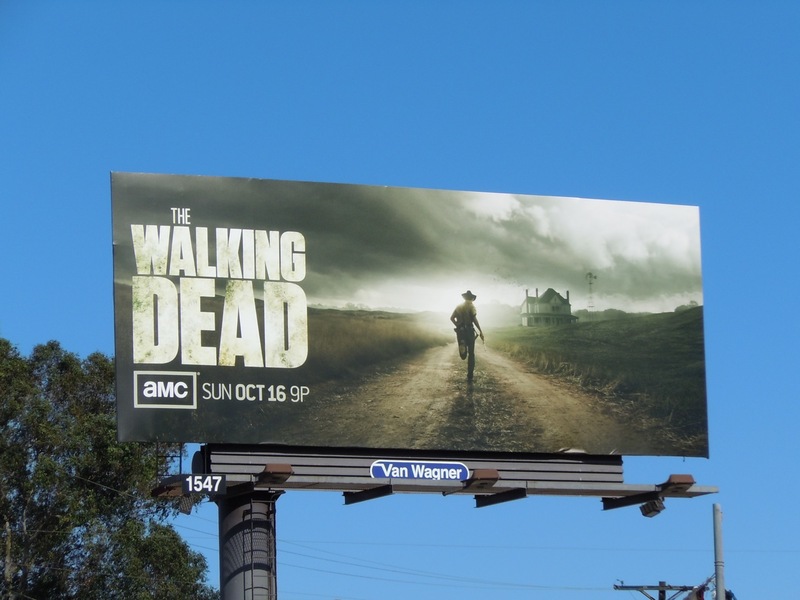 TV WEEK is back, and so is The Walking Dead TV series after a stunning and highly-acclaimed debut season. 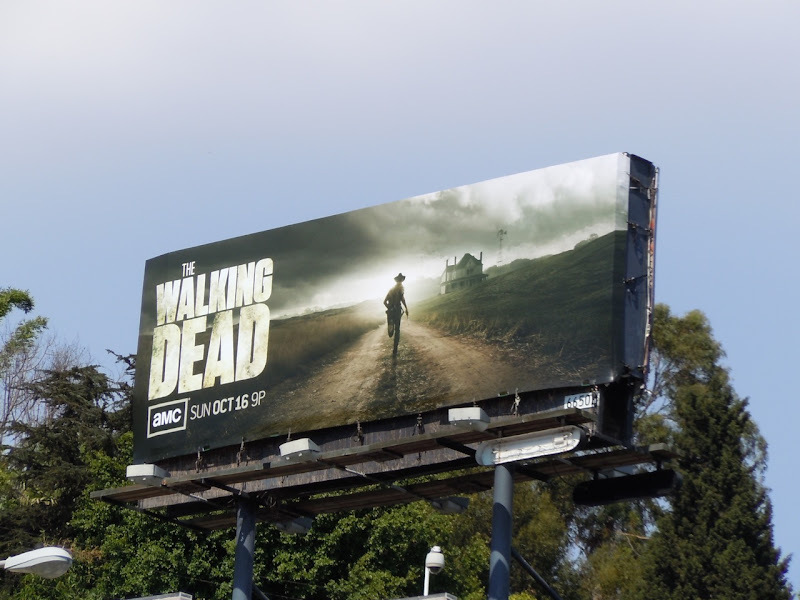 This billboard for second season of the zombie apocalypse themed show is just as atmospheric as for the first season. 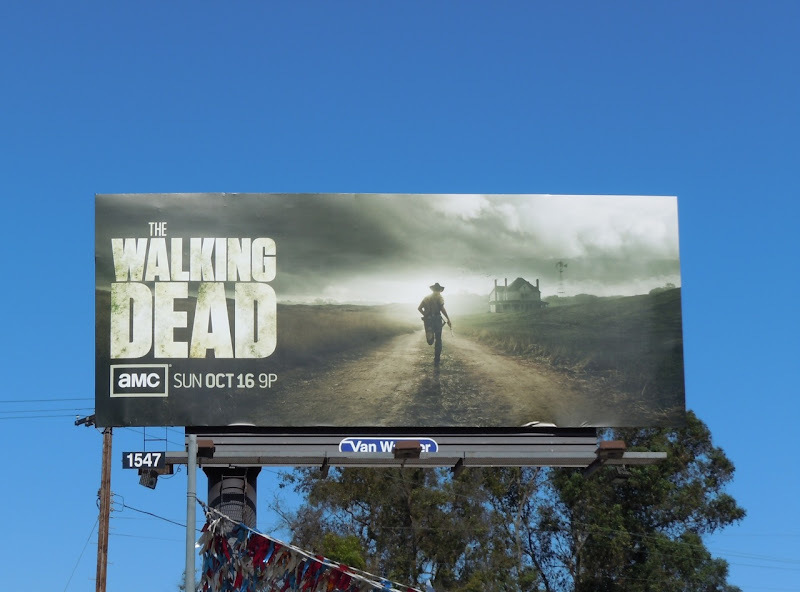 The image of police officer 'Rick Grimes' (Andrew Lincoln) running towards a farmhouse in the distance looks pretty cool with that stormy sky, and fans of the original comic book series will know that Hershel's Farm features heavily in the band of survivors ongoing adventures. 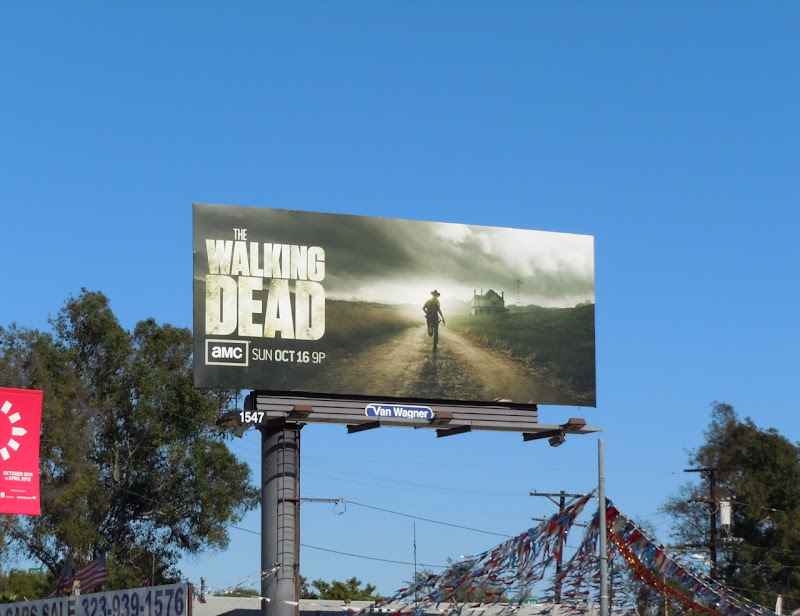 Daily Billboard liked the The Walking Dead first season billboard so much that it was the winner of an inaugural BAB (Best Advertising Billboard) Award for television. 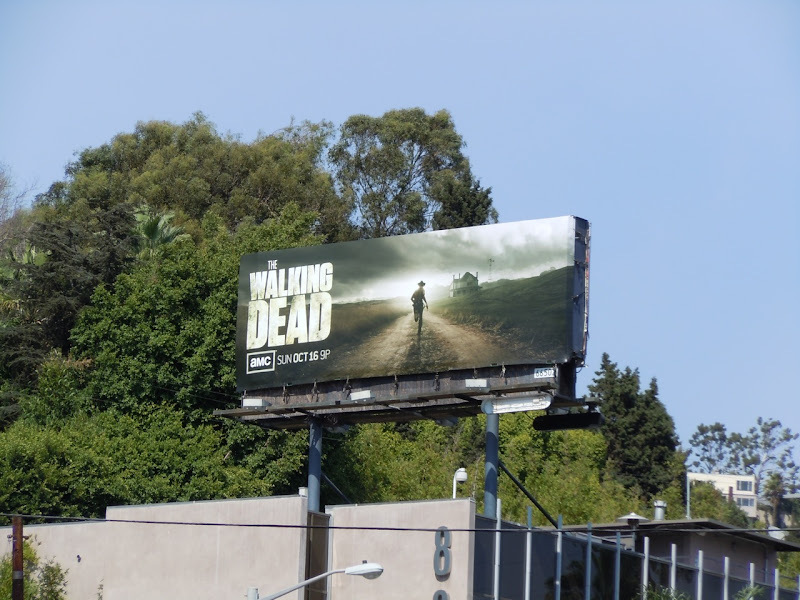 The slightly smaller billboard for season two of The Walking Dead was snapped along Sunset Boulevard opposite The Standard hotel in West Hollywood on September 13 and the standard format version was captured along Venice Boulevard on a beautifully clear October 1, 2011.